The Eixample is, without a doubt, the most emblematic, photographed, shared and recognizable neighborhood of Barcelona. Here are some surprising curiosities about this 19th century neighborhood that has become the emblem of the city. 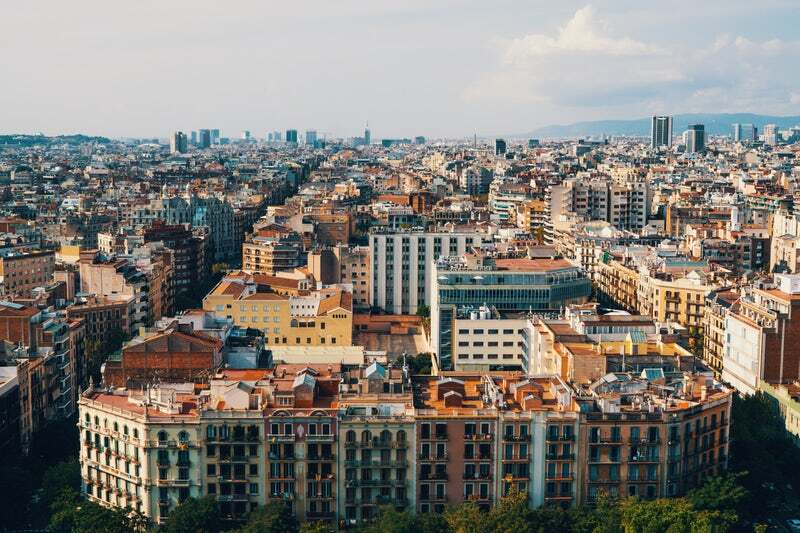 The Eixample (that means ‘expansion’ or ‘Expansion District’ in catalan) is a district of Barcelona between the old city (Ciutat Vella) and what were once surrounding small towns (Sans, Gràca, Sant Andreu). It was constructed in the 19th and early 20th centuries and designed by Ildefons Cerdà. The Eixample is characterized by long straight streets, a strict grid pattern crossed by wide avenues, and square blocks with chaferred corners (named illes in Catalan, manzanas in Spanish). The grid pattern remains as a hallmark of Barcelona, but many of his other provisions were ignored: the four sides of the blocks and the inner space were built instead of the planned two or three sides around a garden. Some parts of the Eixample were influenced by Modernist architects, chief among whom was Antoni Gaudí. His work in the Eixample includes the Casa Milà (nicknamed La Pedrera) and the Casa Batlló, both of which are on the wide Passeig de Gràcia, as well as the Sagrada Família. In spite of everything or thanks to it, since Cerdá conceived a utopian city, the current Eixample has full force, after 150 years. At the very beginning of the 21st Century, the Ensanche continues being the heart of the current Barcelona, ​​and its construction continues. Perfect apartment for a family or group of friends, spacious, fully equipped and with a large and sunny quiet balcony. Three double bedroom, one with queen size bed and access to the sunny balcony. The second double bedroom with queen size bed is just in front of that one and both share one of the full bathroom. The third bedroom has twin beds and a separated full bathroom. The living area consists of a cosy living room with a convertible double sofa bed, flat screen TV with international channels, and access to the sunny and furnished balcony. Gorgeous opened modern kitchen fully equipped with dishwasher, oven and any cooking facilities needed and design style dinning area with large table for eight people. Additional services in the apartment include wifi, air conditioning in all the apartment and safe box. There are five different apartments in this same category, one on each floor. These apartments are available for monthly rentals and price includes utilities and a weekly cleaning. 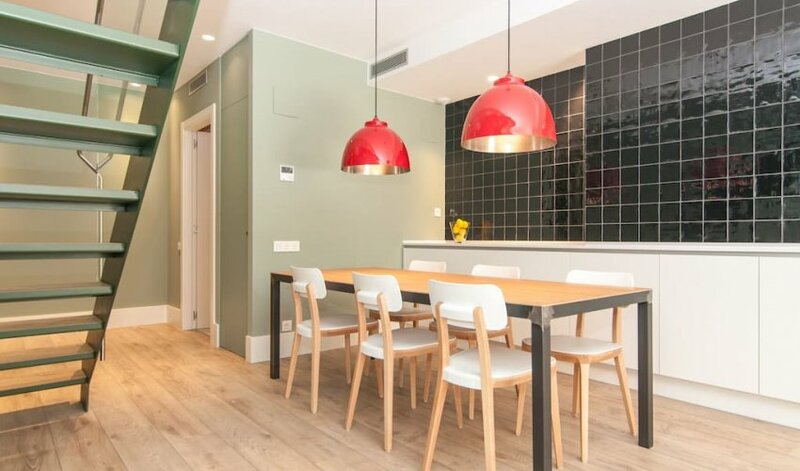 Exceptional located near Hospital de Sant PauRecently renovated and furnished with modern style and an exceptional location. Comfortable100m2 distributed in three large outdoor double rooms and one single room interior. 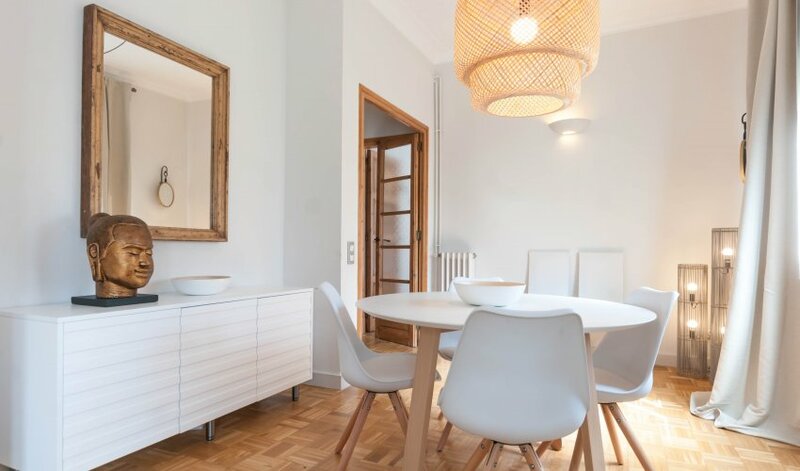 Very spacious living room overlooking the Sagrada Familia and the Hospital de Sant Pau, with comfortable sitting area and separated dinning area with round table and connected to the fully equipped kitchen. Two full bathrooms with shower, heating throughout the apartment and air conditioning splits in common areas. The kitchen has anything necessary for cooking a complete meal and there is also a laundry room with washer and dryer. Amazing stylish two bedrooms duplex with spacious outdoor terrace. 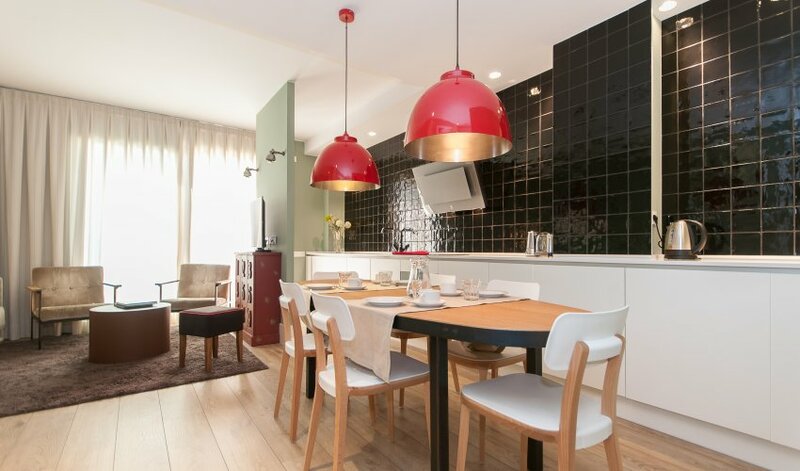 The perfect family accommodation Barcelona. The building where the apartment is located is very modern and only dedicated to this type of accommodation. In the lower floor you would enjoy the modern and spacious living room with double sofa bed and access to the sunny, furnished and quiet patio. The very big kitchen is absolutely fully equipped with oven, stoove, dishwasher and any cooking facilities for preparing a delicious meal with local products. Before getting the stairs to the upper floor, there is a full bathroom with shower in this ground floor. In the upper floor you can enjoy the two double bedroom both with king size plus an additional full bathroom. Additional services in the apartment include, international TV, wifi, air conditioning in all the apartment and safe box. On the same apartment level there is another duplex with the same layout and equipment.